Love Story transforms people who once scoffed at and ignored Scripture into Covenant Players who love it and daily enact it. Cross Theatre values the Scripture (not Tradition) as the authoritative, complete, and final Chronicle of this TheoDrama. The Bible gives doctrinal direction for our performance as covenant players; it must be preached, read, and taught in such a way that its truth is understood and embodied on God’s stage. We must “read along” the whole Bible to understand the plot or story-line and “read across” the whole Bible to understand and embody its doctrinal teaching. All Scripture points to Christ and His finished work. All that God has communicated in His Word is to be embodied on the stage of Cross Theatre. Love Story transforms people who once despised and rejected Christ into Covenant Players who now trust and follow His direction. Cross Theatre values Jesus Christ as the only mediator between a loving God and rebellious man. Jesus answered the curtain call by coming on stage in the incarnation; as the God-Man, He flawlessly performed the drama the Father had assigned. Jesus' death, burial, and resurrection are the center of Cross Theatre--the Son of God becomes both the Victim and Victor. Christ alone is the fullest expression of “God’s Love Fulfilled”; there is no other name that can effect reconciliation—restore Shalom.. No one will become a Covenant Player who has not heard Love Story and then turned from his sin and put his faith in Christ the Redeemer. Now, we look ahead with confident expectation to the return of the King. Heaven and earth will be merged, the Wedding Party will begin, and God and His redeemed people (players) will begin the “Dance of Life” where God’s Love is finally consummated and celebrated. This is what we have always been waiting for. 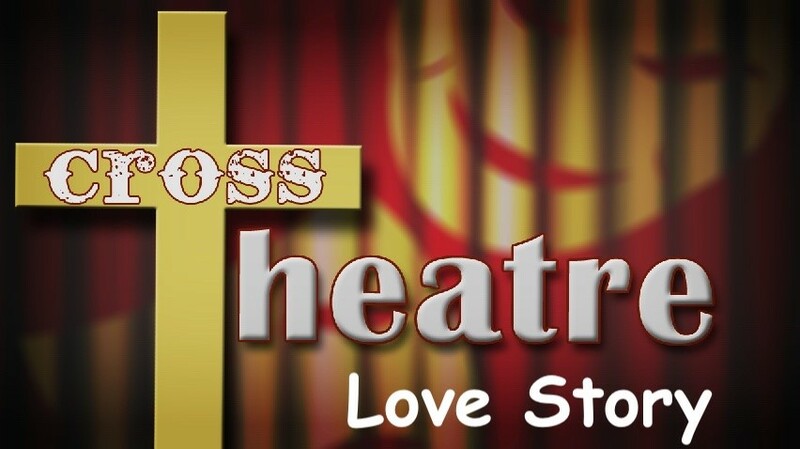 Love Story transforms people who once failed in their approach to God through human effort into Covenant Players who once, having received the very righteousness of Christ by faith, are welcomed into God’s family as covenant partners, as players in Cross Theatre. Cross Theatre values this perfect obedience of Jesus Christ as our only means to justification (vindication). We can now participate in the Triune life of God as Covenant Players by faith alone in Jesus Christ. Jesus Christ perfectly obeyed the law in His life and satisfied the penalty of the law in His death. This righteousness is credited (imputed) to us so that we are no longer under condemnation but vindicated and declared perfect in God’s sight. We live now as New Covenant believers and out of love for the one who redeemed us joyfully embrace our new covenant responsibilities. Our life is not driven by a moralistic effort to “do better” or “try harder” but by the power of the Holy Spirit as promised in Love Story. Love Story transforms people who once trusted their own accomplishments into Covenant Players who are the gracious recipients of God’s love. Cross Theatre values this reformation heritage; God’s love is not earned or manipulated but is freely received by Grace alone. Love Story affirms and explains total depravity, unconditional election, particular redemption, irresistible grace, and the perseverance of the saints. Love Story stages the Grace of God in such a way that the Author is featured and not the Players. 5. Soli Deo Gloria. Love Story transforms people who once took pride in their performance into Covenant Players who now find joy in giving all glory to God for what He has done in sending His Son to the Cross. Cross Theatre values God’s initiative in saving sinners by His grace in such a way that God receives all the glory, honor, and praise. Any saving response to Love Story comes from a heart that has been moved and awakened by the Holy Spirit of God.